I cannot remember reading an historical novel about the Aztecs so this is a first for me. 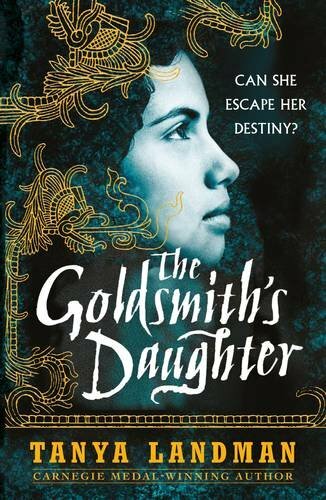 The brutality of the conquest of the Aztecs by the Spanish Conquistadors is chillingly described in this story of Itacate, a girl thought to be doomed at birth when her mother died and her favoured twin brother lived, his survival being a good omen. Her father’s failing eyesight gives Itacate the chance to show her talent for the setting of jewels, firstly for Montezuma and then for Cortes. It is when undertaking this latter task, that of making a gold statue of the Madonna and child, that she meets her love, a Spanish soldier who rather implausibly does not agree with the brutality of the conquerors. The arrival of Christianity on the South American continent is seen through the eyes of those who worshipped other gods. Landman states that she changed the identity of the conqueror of Tenochtitlán from Alvarez to Cortés and it is not clear why that was necessary. Obviously some characters are going to be fictional but if real people were part of the history then why not use them? The tragedy of the conquest of the Aztecs and their subsequent demise is clearly described and all for love of gold, which neatly links with Itacate’s talent. The details of life with its total dependence on the favour of the gods in every aspect from birth to death and a spirited heroine make for a good and informative read.